Have a photo of this soldier you'd like to share? Have a bio or obituary of your ancestor? If you send it to me at dnichols28@verizon.net I'll post it on this website. Honoring and remembering Private Joel J. Lawhon (or Lawhorn) of Company D, The McCullough Rifles, from DeKalb County, Georgia. He enlisted as a Private 9/26/1861. Transferred from Co. A, 4/1/1862. Wounded at the battle of Fredericksburg, Va. 12/18/1862; wounded at the battle of the Wilderness, Va. 5/6/1864; wounded at Newtown, Virginia, 7/17/1864. At home, wounded, 8/31/1864. Filed a CSA pension application in DeKalb Co., Georgia in 1891. He was born in Georgia on April 16th, 1837. He married Irena Elizabeth Lawhon Henderson and had at least two children, M. J. born in 1870 died in 1879, and Olia, born 1876 and died in 1919. He lived to be about 97 years old and died 1/5/1934. He is buried at Greenville, Henderson Cemetery, Tucker, DeKalb County, Georgia. 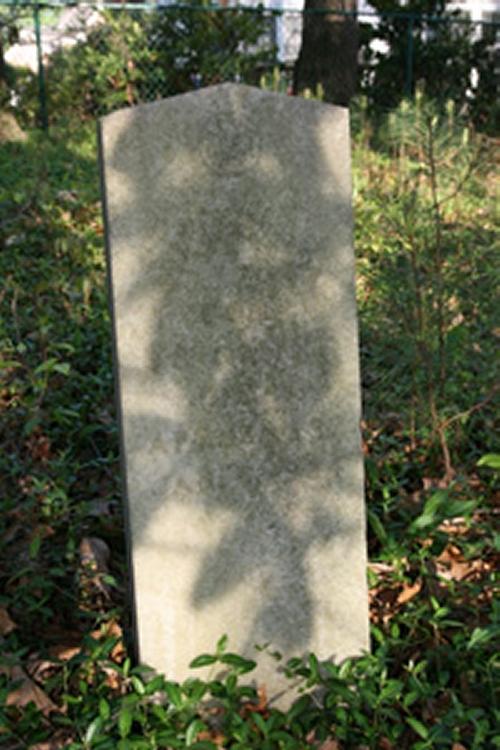 Name spelled on CSA grave as J. J. Lawhon. CSA marker reads: Co D, 38 GA INF.